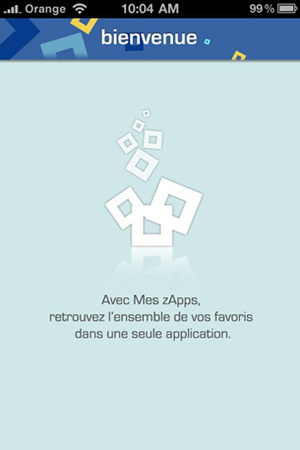 During my mission in Orange HQ in Paris, I had to realize 2 projects, as the lead designer of the mobile design team. 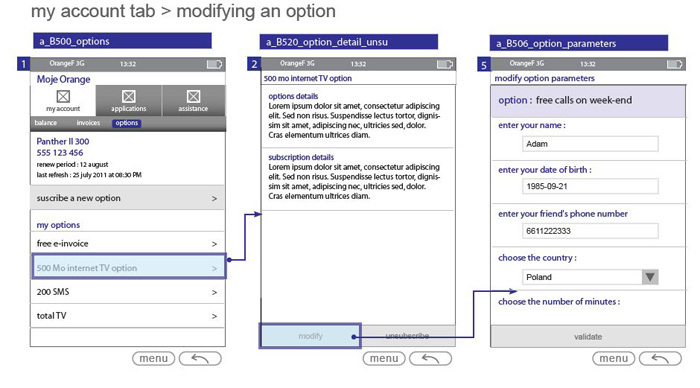 Work done: UX, UI design and navigation paradigm for Androïd and Iphone. 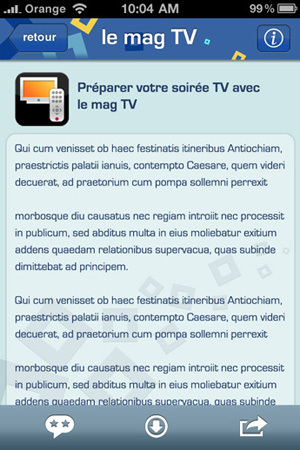 Screenshot of the prototype app. The animated tutorial is not visible here. 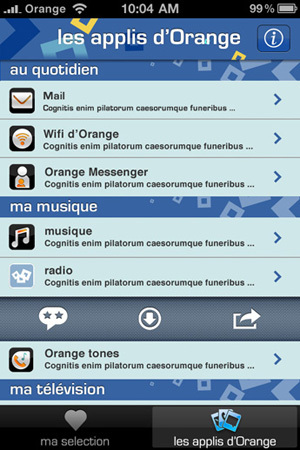 Orange et moi (english countries: My Orange) is one of the central apps of Orange. Developped for 25 countries and for every devices OS (Androïd, Ios, Windows phone, Blackberry, bada…), it allows users to manage their account and mobile plan live. To support this design, I used personas to challenge the features and the global flow.